As a supporter of both online and local motorcycle communities, online-only motorcycle websites make me cringe a little. “My dealer had it, but I bought it for $25 cheaper online.” How often have we heard these words come from the mouthes of motorcyclists? How often have we ourselves spoken them? A final question: How often in the past decade have we seen long-established local motorcycle dealerships close down, no longer able to compete with both their local competition, as well as their online competition? That loss of local dealerships hurts motorcyclists. Local motorcycle businesses are still the backbone of the motorcycle community. Those big shows you go to wouldn’t exist without them. 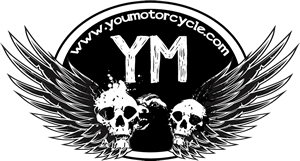 Those non-for-profit charity motorcycle rides and events you take part in and buy raffle tickets at wouldn’t exist without their support. Don’t be too quick to turn your back on your local motorcycle businesses. They do a lot more for our communities than we give them credit for. … but what does this have to do with cleaning a motorcycle helmet? I came across something very neat last week. It was an 8 minute long video about how to clean a motorcycle helmet. It was extremely detailed, but not boring. 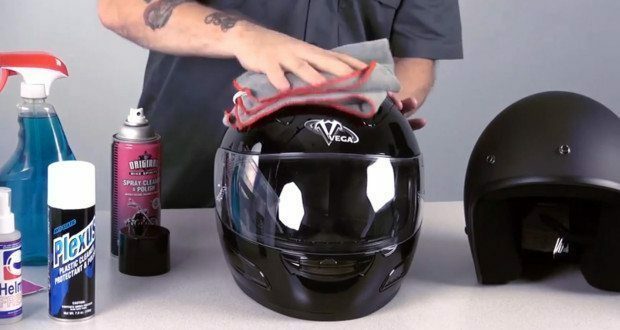 It talked about various cleaning products, commonly used products which should not be used in cleaning a motorcycle helmet, compounds and elements which should or should not be used and why, and what to use and what to do. It was a very informative video and I was impressed. I learned things I previously knew nothing about, and I found that I was guilty of one of the common mistakes. It turns out putting a sheet of fabric softener in your helmet isn’t so good for the helmet lining. You learn something new every day. … and what does this have to do with online motorcycle stores? This part surprised and encouraged me: the video was made by Jafrum, an online motorcycle store that has sponsored YouMotorcycle and bikerMetric in the past. So not only was Jafrum supporting the online motorcycle community, but they were now finding a way to reach right into the homes and help motorcyclists everywhere. The video was well put together and didn’t come across as a sale at all, in fact, product names were barely mentioned. Here’s a link to the Helmet Fresh Cleaner product they recommend.